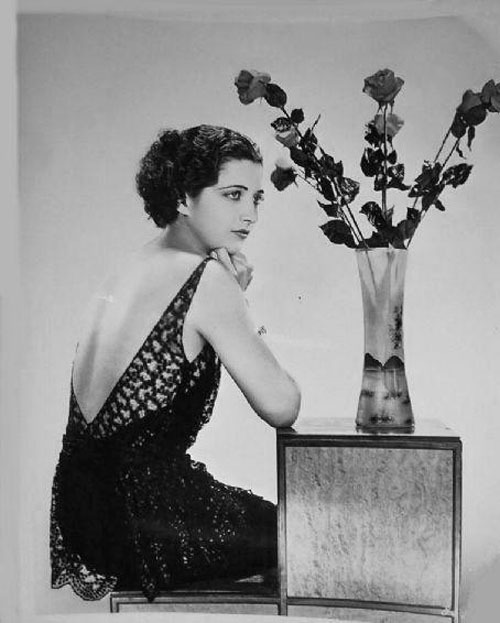 It's always incredible to me how few people know Kay Francis. 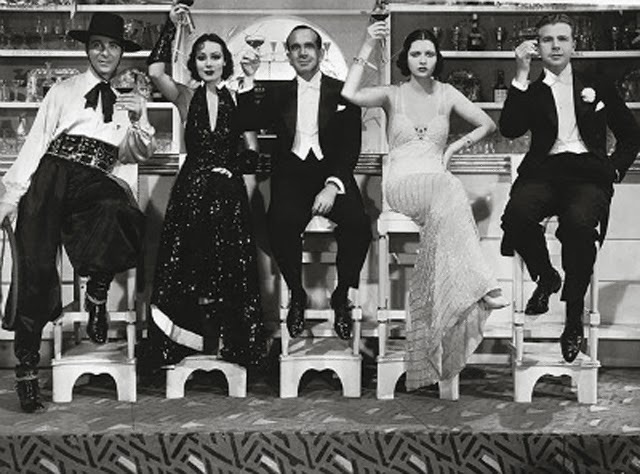 Even those who do know her seem to fail at recognizing and appreciating just how much she contributed to classic cinema as well as to today's fashion. There is no question that Kay was a style star and consistently so in every one of her movies. Thankfully, Turner Classic Movies recently dedicated an entire day to her films and I, for one, was watching them all. 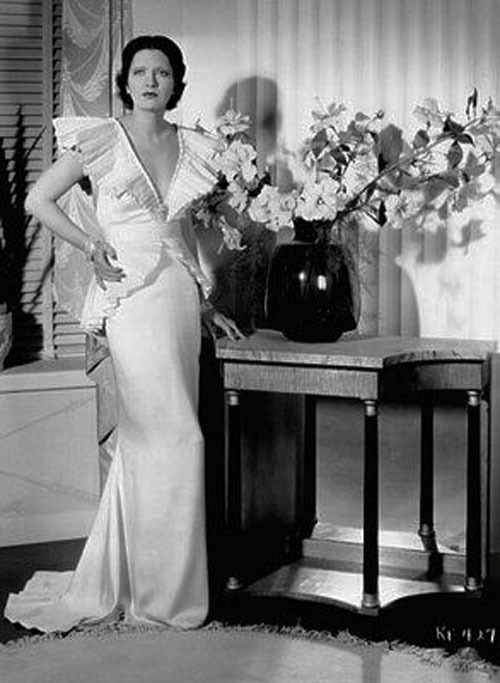 From 1932 to 1936, Kay was the top female film actress at Warner Brothers. To give you a little perspective, this was the same time a young actress named Bette Davis was on the rise and soon would become a cornerstone of the studio. Ginger Rogers was dancing cheek to cheek with Fred Astaire at RKO. Claudette Colbert took a bus trip with Clark Gable over at Columbia. And Marlene Dietrich was ever the seductress at Paramount. Yet Kay was more popular than any of them...so much so that she was the highest paid star in Hollywood and one of the highest paid people in America. Once you see her movies, it's actually easy to understand why. For one, she was luminous on film...with big bedroom eyes that swelled with emotion and a soft supple voice that communicated it. Her characters were elegant, smart, and vulnerable. And what style. She was widely publicized as the "American glamour girl" and inherited the reputation as Hollywood's clotheshorse from 1920s queen Gloria Swanson. Designers loved dressing her because she was quite the canvas. Kay was one of the tallest actresses at the time--reportedly between 5'7" and 5'9"--along with others like Ingrid Bergman and Alexis Smith. This height and her natural poise and polish made for a magnificent model on screen. To fuel the fantasy of Depression-era audiences, designers dressed Kay in sleek bias-cut gowns that pushed the limits of how bare a girl could go. 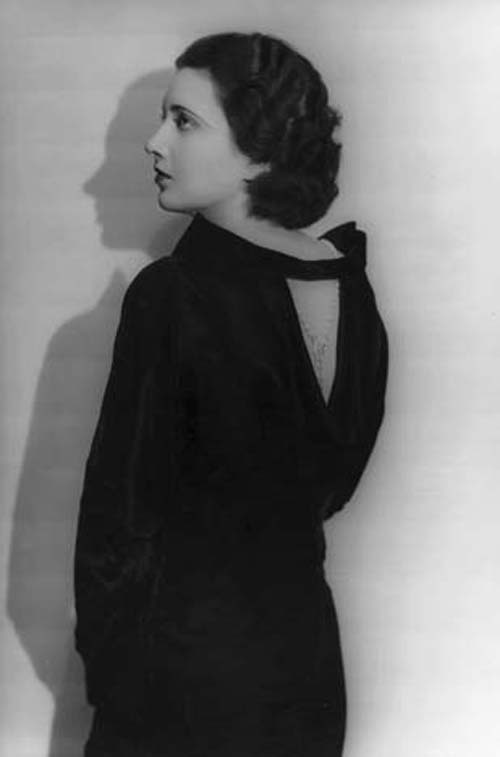 She was known for wearing designs with deep decolletage in the front and back...often at the same time. Her body conscious slip and tank dresses were surprisingly modern and would influence much of the minimalist style of the 1990s. Of course many could still be worn today. She was also known for coats and gowns (often longsleeve) that had a dramatic draping effect and pooled around her feet on the floor. Fur was one of the luxurious accents she wore most often as well as Art Deco jewelry that never seemed overdone. Her own skin just might have been her best accessory, though, especially when it was lit by the industry's best cinematographers. Kay was consistently glamorous, most often thanks to costume designers Travis Banton whenever she was loaned out and Orry-Kelly at her home studio of Warner Brothers. Orry-Kelly was one of the giants of costume design and contemporary to Adrian at MGM and Banton at Paramount. He moved to New York from Australia and became roommates with a young actor (and future Men's Style icon) Cary Grant. It was Grant who recognized Orry-Kelly's talent and encouraged him to move to Hollywood in 1932. He immediately went to work at Warner Brothers and became a favorite of Bette Davis; in fact, she demanded he return to design her clothes even after he left the studio. He is one of the few costume designers who would work with most of the major studios--first Warner Brothers then 20th Century Fox, Universal, RKO, and even MGM. During his time in Hollywood, he was responsible for some of the greatest costumes on film--Casablanca (1942); Now, Voyager (1942); An American in Paris (1951, Oscar with Walter Plunkett and Irene Sharaff); and for Marilyn Monroe in Some Like It Hot (1959, Oscar). These are only some of his brilliant work. But being so closely aligned with costume designers had its downside for Kay. In the end, she became better known for her wardrobes than for her acting. This wasn't her fault...to feed the audience's appetite, studios poured more money into costumes and sets than they did effort into the scripts. The roles she was offered simply started to become less and less substantive. And when she tried to fight for better treatment--and she did fight--the studio simply let her go and essentially ended her career. Even friend Carole Lombard could not save her. For this reason, I feel responsible to put a spotlight on her and remind today's audience just how delightful she was, particularly when trading delicious double entendres with frequent leading man William Powell. She also deserves a major celebration of her sophisticated and influential style. 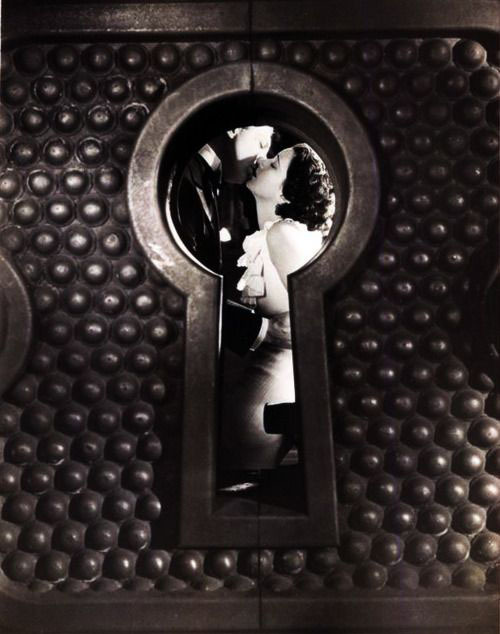 Kay made six to eight films a year--there were seven in 1932 alone, one of her best years. 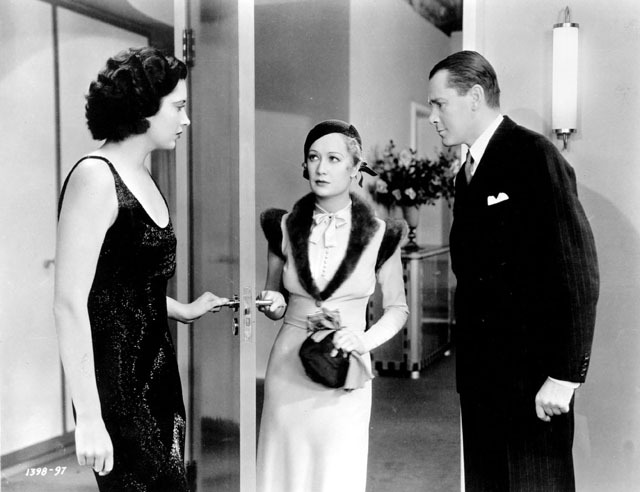 Though I share The Style Essential Trouble in Paradise (1932) in my college class, presentations, and webinar series on the HISTORY OF FASHION IN FILM, it's almost a disservice to Kay to show costumes from only one of her movies. You can practically close your eyes, blindly pick a film of hers, and it's guaranteed that both she and her costumes will be stunning. 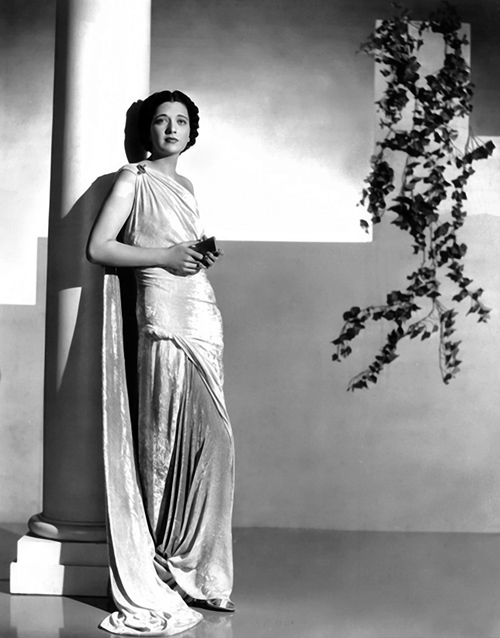 Therefore, here I am highlighting much of the sophisticated 1930s style of Kay Francis. 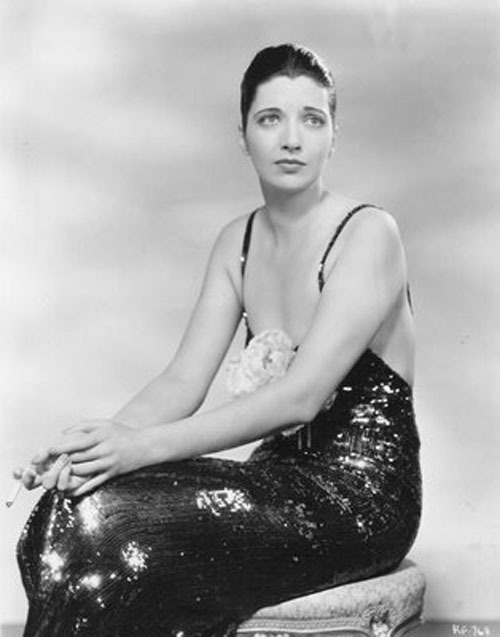 It's only fairly recently that I discovered Kay Francis, but it was one of those "Where have you been all my life?" things. Nobody did glamour the way '30s actresses did, but Kay has to be the most outrageously glamorous of them all. The things she got away with wearing! In the pre-Code years especially she was so sexily dressed -- shockingly so -- but always with a lot of elegance, too. She and William Powell are wonderful in their movies together. I love "Jewel Robbery" and "One-Way Passage." The costumes in the latter are especially beautiful. There are quite a few clothes in that one that I'd love to wear -- if I had Kay's figure, that is! I remember loving her in a sweater and high-waisted, wide leg trousers with a big floppy hat, and also in a sweet white ruffled dress accessorized with a parasol. Not to mention her evening gowns cut waaaaay down to there. It worked in her favor, fashion-wise, to be so flat-chested. On others that plunging look would've seemed vulgar, but it never did on Kay. What lovely comments, Melissa, thank you! You and I shared exactly the same reaction to meeting Kay onscreen for the first time. It was like, "Why have I not heard of you before?!" I am the same height as Kay and relatively similar builds, so I really loved seeing her wear that deep decolletage...and like you said, she somehow still looked elegant. And those backs...oh those backs! I am a sucker for a well-designed back in a gown or dress. Talk about gravity-defying gowns!!! Holy smokes! What a gal! 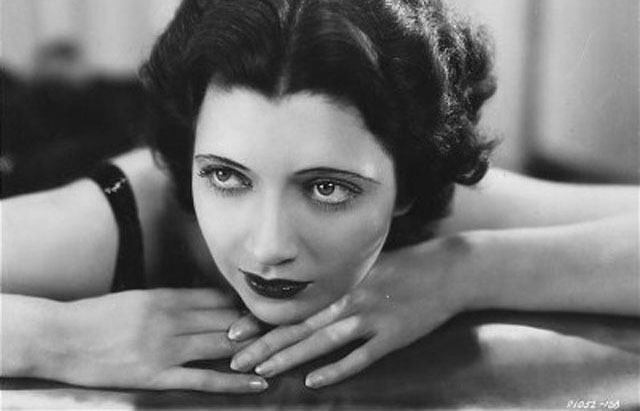 I've enjoyed Kay Francis for a while but I really enjoyed this retrospective of her languid, luscious style. Wonderful images. 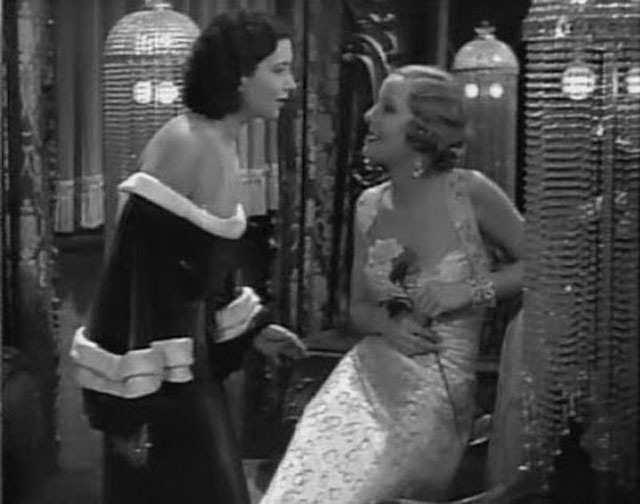 My DVR is set for almost the whole day, too, Melissa and Kimberly...I foresee a nice Kay Francis marathon this weekend! 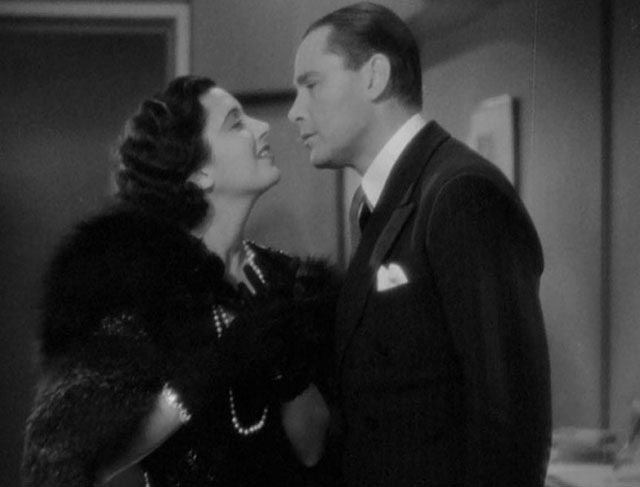 Did you know that one director (name escapes me now) got his start rewriting scripts for Kay Francis? She had a lisp and the letter R was a challenge for her; so his job was to rewrite scripts, eliminating as many words with Rs in them as possible (was it Woody Van Dyke? Darn, wish I could recall). Anyway, I loved her in Four Jills and a Jeep, where she played den mother to WWII USO entertainers like Martha Raye. She made a grand "mother hen!" Thanks for this lovely pictorial and so much info about the lithe Miss Francis! Great job, Kimberly! 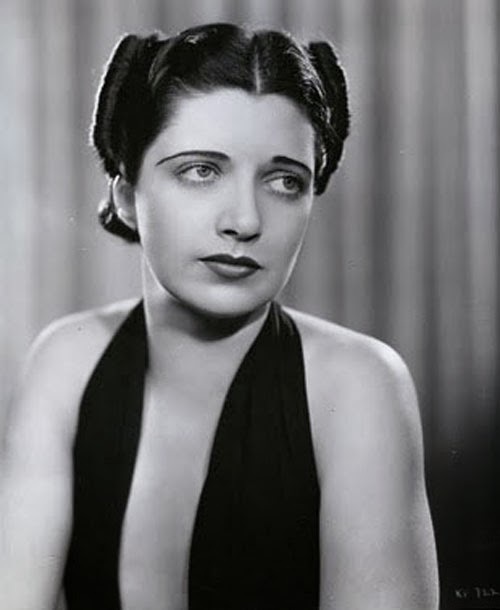 Just adore Kay Francis! She had such a wonderful, sparkling presence onscreen, and her light touch worked for both comedy and drama. And she knew how to WEAR those gorgeous clothes. Thanks for posting those beautiful photos! 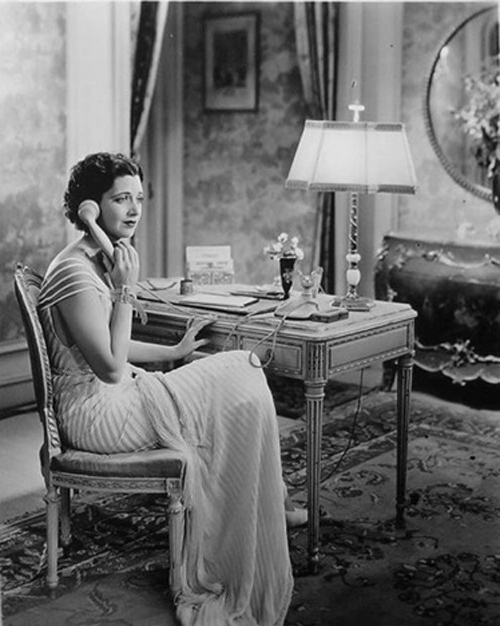 Looking forward to seeing my first Kay Francis movie tonight. I'll keep an eye out for the 'style' aspects! Thanks for the great write-up, Kimberly. 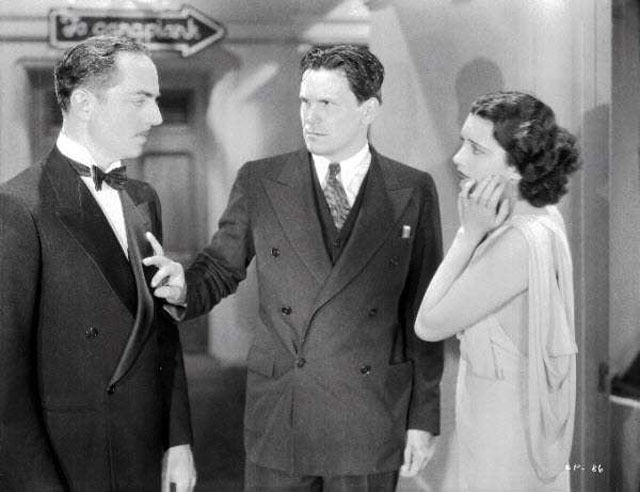 I think all three of us will be watching Kay Francis this weekend, Kay! lol TCM put JEWEL ROBBERY and ONE WAY PASSAGE on in the middle of the night, so I recorded them and will save them. What a day of grand style and yes, gravity defying gowns. lol Especially that one in JEWEL ROBBERY that literally looks like it's falling off half the time. 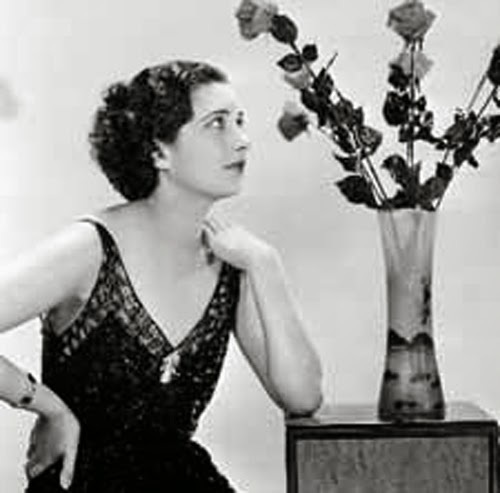 I'm so glad that more people are taking an interest in Kay F. (Kay N. already has a great audience ;) and her style...should just have a Kay Francis channel and have those dresses in front of us 24/7. Thanks Grand Old Movies! 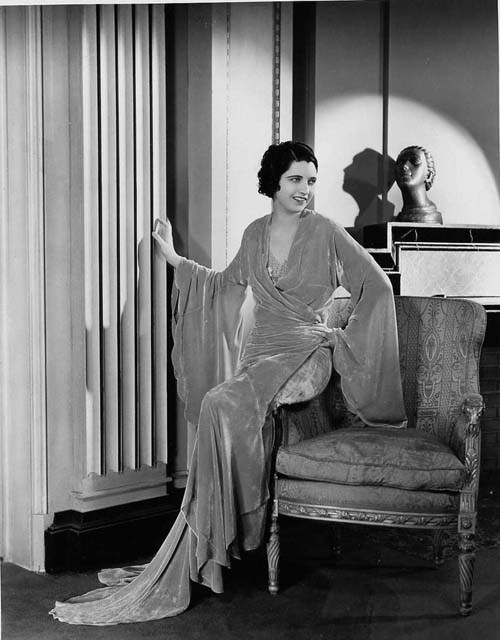 I just love love love looking at Kay Francis and those gowns of hers. There are shockingly few photos that celebrate the backs of her gowns (which I love to death), so I'll eventually do my own screen captures of her movies so we can really celebrate her style! And you're right--Kay was really able to flex between drama and comedy with such ease. Her acting was underrated in my opinion. Thanks for your comments! Thanks Joel! You're such a sweetheart for sharing on Twitter and your new appreciation for all this style here. I really appreciate it and love having a guy's perspective! Those are some nice pictures! I like her dress from Jewel Robbery that you used above with the low cut front and back. It's classically beautiful while perfectly accentuating Kay's figure. Kay also gets an amazing gown in Mandalay that made it to the film's poster, for good reason, as well as some nifty hats in Dr. Monica. You should check those out if you haven't. Thank you Mr. Sheldrake (love your name!)! Yes, the gown from JEWEL ROBBERY is a real winner. And thanks for the shout out to Kay's hats! Though I focused on her gowns, I could have just as easily done one on her hats. Just fabulous. She wears a white suit and hat in TROUBLE IN PARADISE that's just marvelous. Thank you Wendy! 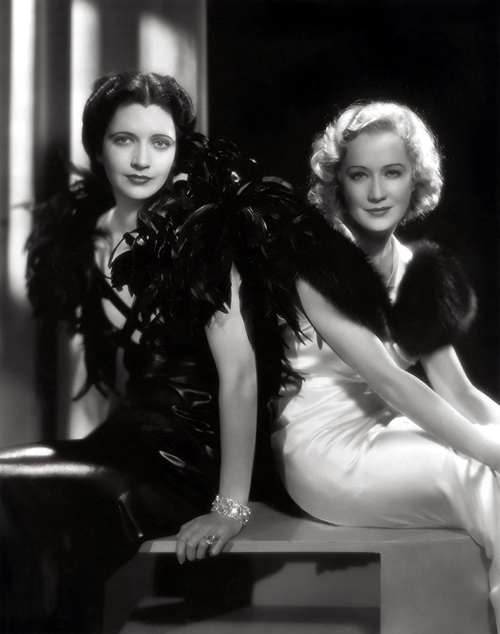 I am THRILLED to hear that Kay Francis is now on your radar and that you're enjoying her style so much. JEWEL ROBBERY and ONE WAY PASSAGE are often chosen as favorites of her films, so I suggest you start there. Can't wait to hear how you like them!